Recorded in Amsterdam, May 2000 and January 2001. 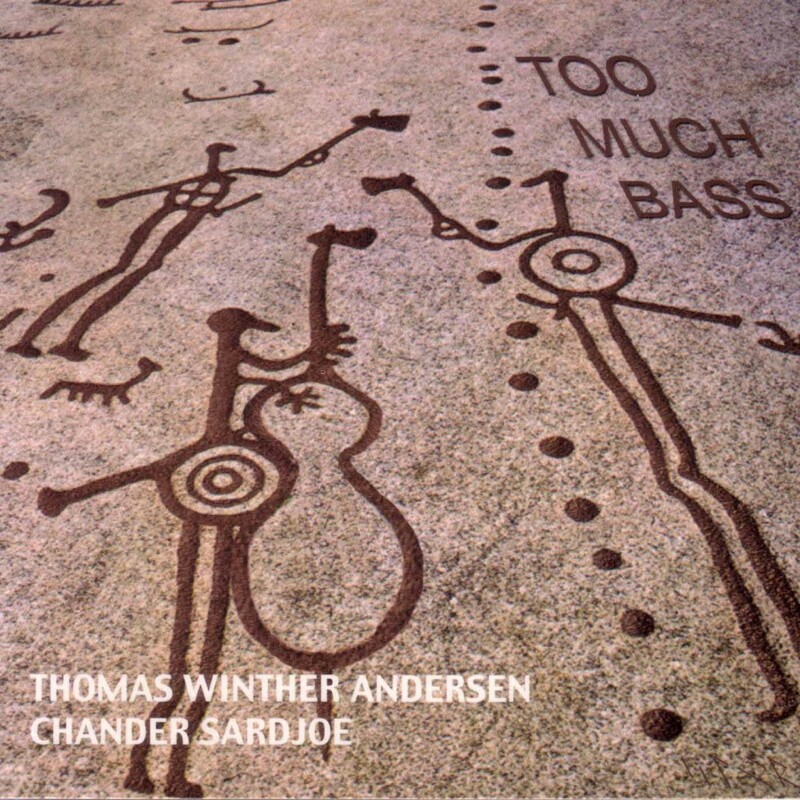 The Norwegian double bassist Thomas Winther Andersen lives in Amsterdam; his quintet CD “Line up” were reviewed in OJ 6/99. Here he can be heard in a duet with drummer Chander Sardjoe from the Netherlands. Four well-known songs are played in original arrangements. Andersen composed the rest. Waltz for Debby, written by the pianist Bill Evans is his high point opening showcase of the CD. He generates a big sound in the bass and plays with real vigour. Instead of playing as fast as possible, Andersen emphasizes on the quality of the low register. The title track is a suite in three parts. He was inspired by the deep tones of the Australian folk instrument the didgeridoo and attempts to create similar sounds with the bow in the first part. In the third part, which has very strong and swinging rhythms, he switches effectively between arco and pizzicato techniques. Andersen’s interlude is a brilliant bass solo. Certainly, there is a lot of bass on this CD, but not too much when it sounds like this.